Art crawls, green beer and marathons—not in that order. We know, you’re all feverishly waiting on Friday to arrive. You’ve pre-ordered your sick day, dusted off your leprechaun hat and started fantasizing about day drinking. But we’ve got more lined up for you this weekend than just green beer. You could, for example, ride through the Venice Art Crawl on a luminous bicycle, stalk the cast of Westworld, flaunt some bangin' bangs at an 80s disco, get your Celtic punk on or do absolutely none of this at all because you’re preparing to run in the LA Marathon on Sunday. It’s all happening, Los Angeles. 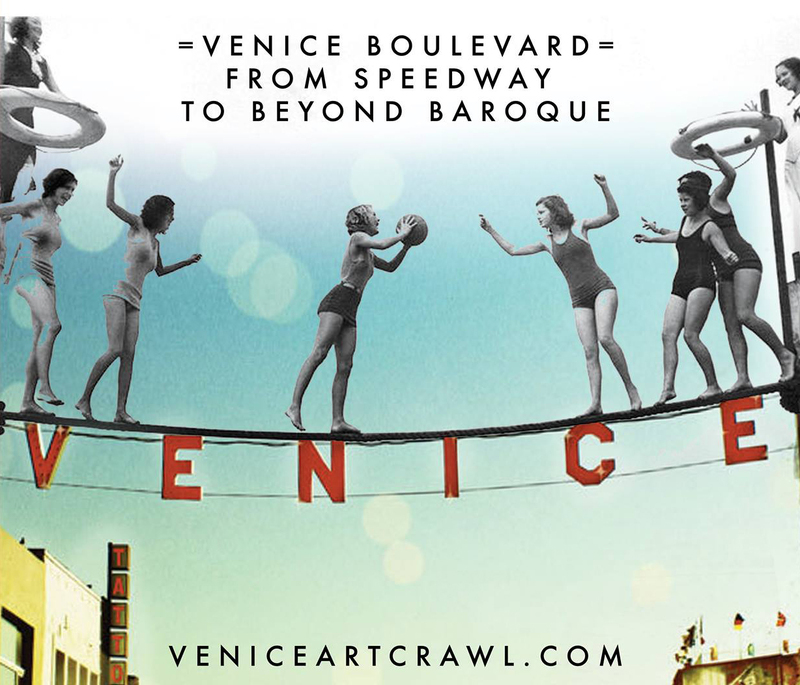 “This is Venice” is the catchcry for this year’s Venice Art Crawl, the annual celebration of art and community that takes place over a one and a half-mile stretch of Venice Boulevard. Artists are setting up shop in studios, homes, hotels, restaurants or even parking lots and everyone is welcome to drop in and explore. There will also be a community bike parade pedaling around on illuminated wheels so jazz up your bike and join in the ride. Check out the link below for an interactive planning guide. The Theatre at Ace Hotel andThe Broad present the West Coast premiere of Tony Conrad: Completely in the Present. Tony Conrad was a savant of the arts — an experimental filmmaker, a musician (with an early membership in the Velvet Underground) and artist whose work has appeared in museums from MOMA to MOCA, everywhere in between and beyond. The evening also features a special chat with the filmmaker Tyler Hubby, artist Tony Oursler, Henry Rollins and a musical performance by Sonic Youth’s Kim Gordon. Want to remain in stumbling distance of your bed on St Paddy’s Day? 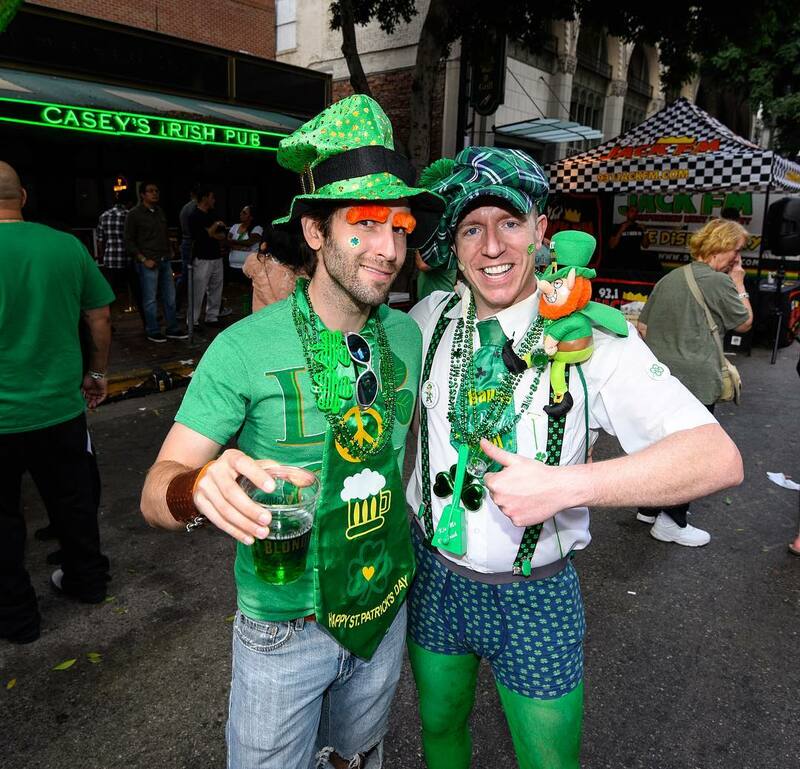 Check out our guide to celebrating your Irish heritage (fake or real) across 17 LA neighborhoods HERE. 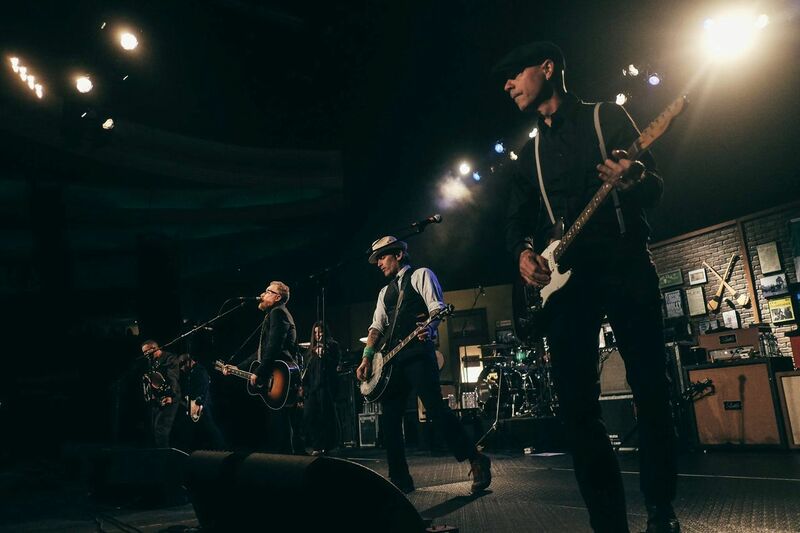 Who better to celebrate St Patrick’s Day with than LA’s favorite seven-piece punk band, Flogging Molly, doing what it does best — Celtic punk. The celebrations begin at 3 p.m. on The Forum’s Terrace with Guinness, green beer and Irish cocktails to wash down corned beef and cabbage sandwiches, Irish chicken ‘n waffles and Lucky Charms desserts. There will also be backyard games, festive tunes and a best dressed competition. Wear your greens! It’s PaleyFest time! TV’s greatest fan fest is finally back, bringing you up close and personal with your favorite cast members on today’s biggest TV shows. 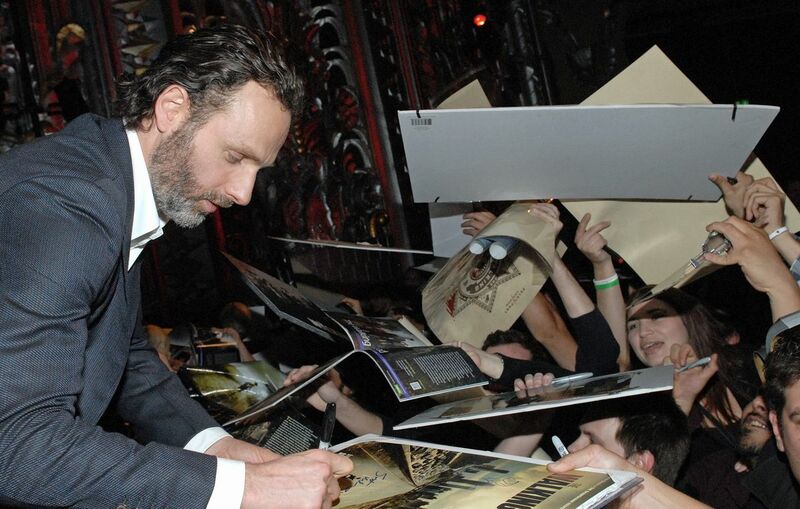 Kicking off with the cast and creative team of The Walking Dead on March 17, this year’s event once again ensures we won’t be able to choose between the incredible line-up: American Horror Story: Roanoke; Bob’s Burgers; Orphan Black; Scandal; This is Us; Arrow, DC’s Legends of Tomorrow and Westworld to name a few. Paleyfest runs through March 26. 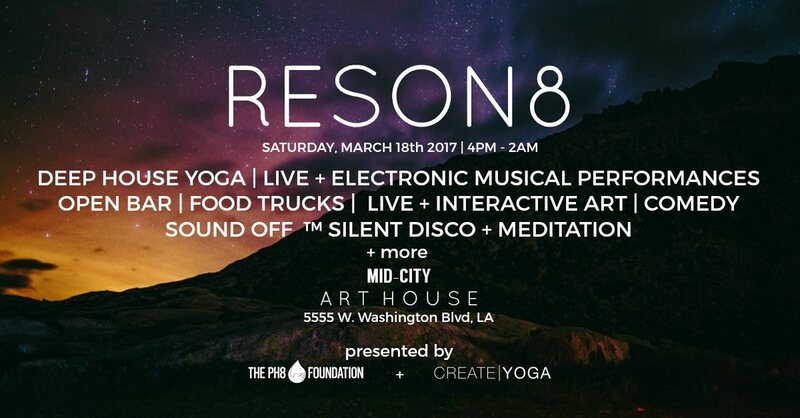 If you simply can’t decide what to do this Saturday, you can have it all in one place at the RESON8 Festival, a party with a purpose, that supports PH8 Foundation's efforts to bring clean water to families in rural Cambodia. The day-through-night fest includes meditation, acroyoga, open bar, food trucks, musical performances, interactive art, comedy, raffle prizes and a Sound Off silent disco. Relive (or newly experience) the extravagance that was the 1980s — bold hair, bold colors and even bolder shoulder pads. Not to mention, grandiose music videos and legendary jams. 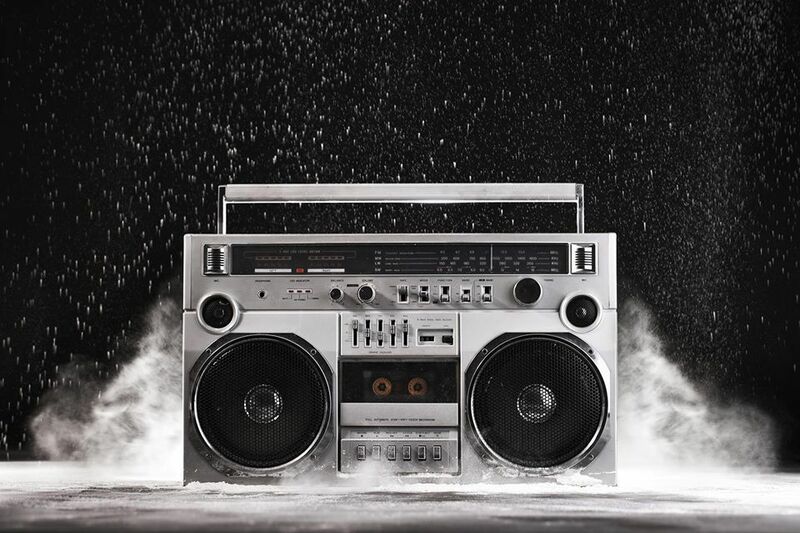 DJ Dave Paul out of San Francisco is on board to reconstruct the decade for you, but you’ve gotta pull your weight too—retro gear expected! Did you know that LA is home to the largest pop-up vintage paperback marketplace in the world celebrating the glory of the chintzy dime-store novel? 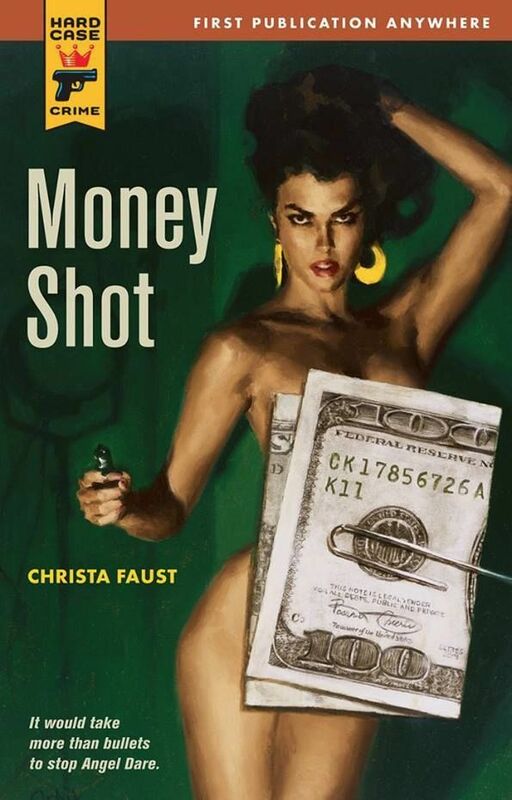 There will be over 100,000 vintage paperbacks available, alongside 45 authors and illustrators and more racy covers than your brother’s once infamous bedroom stash. While it might be too late to start training for the marathon on Sunday, it’s never too late to be an active, calorie-consuming spectator. 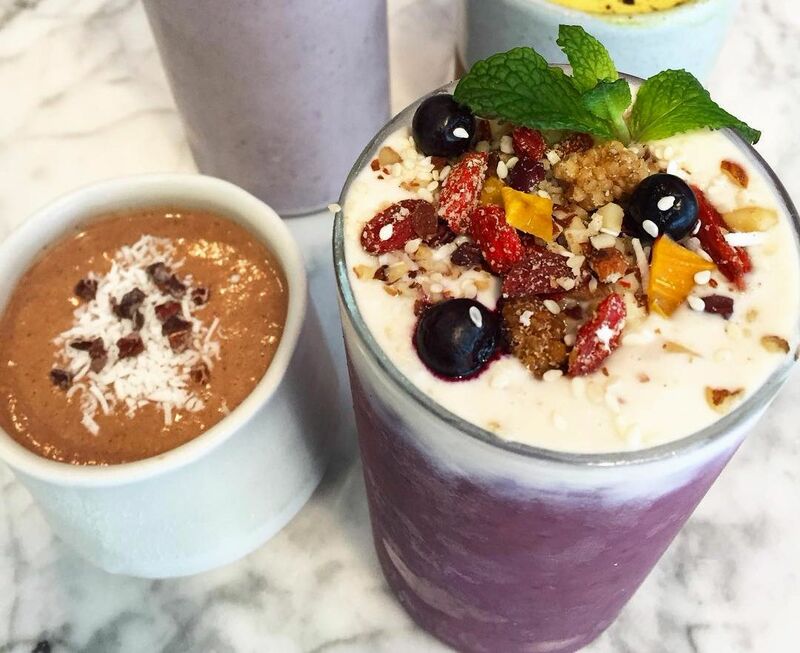 If you’re set to cheer on your mates near the Downtown LA starting point, you should stop into Wild Living Foods for a Grasshopper activated smoothie to fuel the long road ahead—ie. driving to Santa Monica during road closures. Once you hit the beach, you’ll definitely need to carb-load so check into Via Veneto on Main St for plenty of Gnocchi Fatti In Casa and some vino to kill the time. Deets: You can analyze road closures in detail HERE or simply stay far away from Sunset, Hollywood and Santa Monica Blvds between sunrise and 2 p.m.
Like the Orpheum, the United Artists Theatre, AKA The Theatre at Ace Hotel, is a Golden Era 1920s theater that hosts concerts, comedy, talks and more. The Ace Hotel chain recently restored the Spanish Gothic-style venue to its full, beautiful glory. Despite Washington Post’s recent dig at The Broad (it’s OK, Washingtonians, we’d be jealous, too), the museum continues to exhibit some of the most important artists of the last half-century. The museum’s newest special exhibition just opened last weekend and features over six decades of artwork by Jasper Johns, who is known for bridging the gap between the Modernist and Post-modernist movements. If your New Year’s resolution was to see more art, this is a good place to start. The Museum of Modern Art is a place that fuels creativity, ignites minds, and provides inspiration. With extraordinary exhibitions and the world's finest collection of modern and contemporary art, MoMA is dedicated to the conversation between the past and the present, the established and the experimental. Our mission is helping you understand and enjoy the art of our time. With three distinct venues in Los Angeles—MOCA Grand Avenue, The Geffen Contemporary at MOCA, and MOCA Pacific Design Center—and Michael Heizer’s seminal artwork Double Negative (1969-70) in the Nevada desert, the museum engages audiences through an ambitious program of exhibitions, educational programs, and publishing. Venerated concert & performance center known for its circular design & Roman-style columns. Funky industrial-chic spot with outdoor space, craft cocktails, draft beers, DJs & live music. Downtown fixture offering wood booths, tin ceilings, classic Irish fare & loads of whiskeys. Sleek modern center offers classic TV & radio memorabilia, a screening room & educational programs.